If you have batter or Leftover idli on hand, then idli is undeniably one of the easiest snacks to prepare. 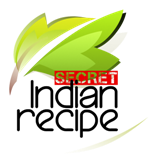 If you have a mini idli plate, you can prepare this recipe with mini idlis instead of idli strips. Tempering of mustard and cumin seeds along with chillies and curry leaves makes it more flavourful. Combine the curds, powdered sugar, salt and ¼ cup of water in a deep bowl and mix well and keep aside. Heat the ghee in a small non-stick pan and add the mustard seeds and cumin seeds. When the seeds crackle, add the round red chillies, curry leaves and asafoetida and sauté on a medium flame for a few seconds. Pour this tempering over the curds mixture and mix well.